A study by State Farm found that Texas drivers in 2016 have an increased likelihood of hitting a deer while on the road. 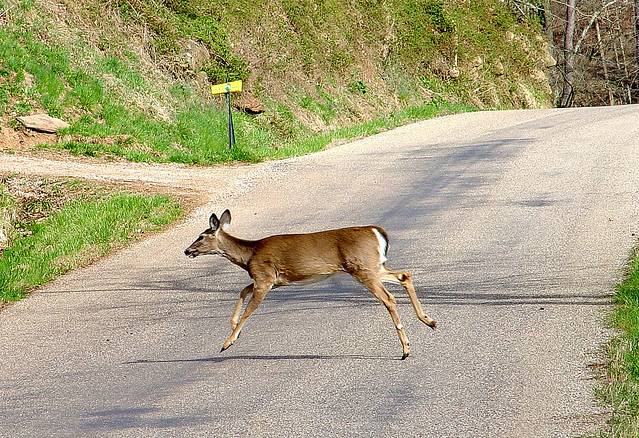 In fact, the chances of hitting a deer are up 3 percent higher than last year. That means a higher cost of damage for drivers. “Most accidents are minor damage, just small fender benders, but a deer is usually more severe damage. And that’s just the damage that the deer causes, a deer can also hit you versus you hitting the deer,” explained Jesse McConchie of State Farm. State Farm estimates that one in every 288 drivers in Texas will make an insurance claim due to a deer collision this year. Read the full article here and check out our tips on what to do when you hit an animal. For more tech and driving news, defensive driving Houston Texas, as well as fun facts, tips, competitions, and other cool stuff, follow DefensiveDriving.com on Facebook and Twitter.